Teaching children responsibility is one of the jobs you have as a parent. It’s daunting to think about but necessary. Many adults don’t understand responsibility, not for themselves, their finances or for anyone else. But teaching your child about accountability doesn’t have to be impossible. It doesn’t even have to be hard. Children who grow up to be responsible adults have usually had some guidance in their younger years. They’ve been given the chance to contribute to the household in some form, they’ve been taught about money and they’ve been given the independence to learn to rely on themselves. Though children should be allowed to be children as they grow up, teaching them responsibility from a young age is equally important. One of the ways to teach them this is through chores. Having responsibilities around the house, and contributing to the family, can help them learn about being accountable. Chores also teach them about respect. They learn to respect what their parents do for them, the toys and belongings that are given to them and to respect their own ability to contribute in a meaningful way. One of the biggest difficulties for adults is managing money. Good habits should be learned in childhood so that they have already had the practice necessary. Giving your child an allowance is the first step in teaching them about being financially responsible. In order to earn their allowance, children should need to compete their chores just as they will later in life. Teach them about saving and spending responsibly but then allow them to make their own decisions. This is where they can safely make mistakes about money and learn how to handle it to benefit themselves. This is also where you can teach them about charity, so that as adults they will know not only how to be responsible for themselves but also how to help others. A lot of modern parenting encourages keeping your child wrapped in cotton-wool. But having some measure of independence is where they learn to rely on themselves. Children learn responsibility by being made to face the consequences of their actions. Don’t try to protect them wholly from themselves or their decisions. Learning comes from making mistakes and it’s better to make those mistakes as a child where the consequences aren’t as severe. Don’t be afraid to let your child spend time alone or be afraid to let them make decisions about their time, hobbies and friends. Give them the independence they need to grow into responsible adults who know how to take care of themselves. 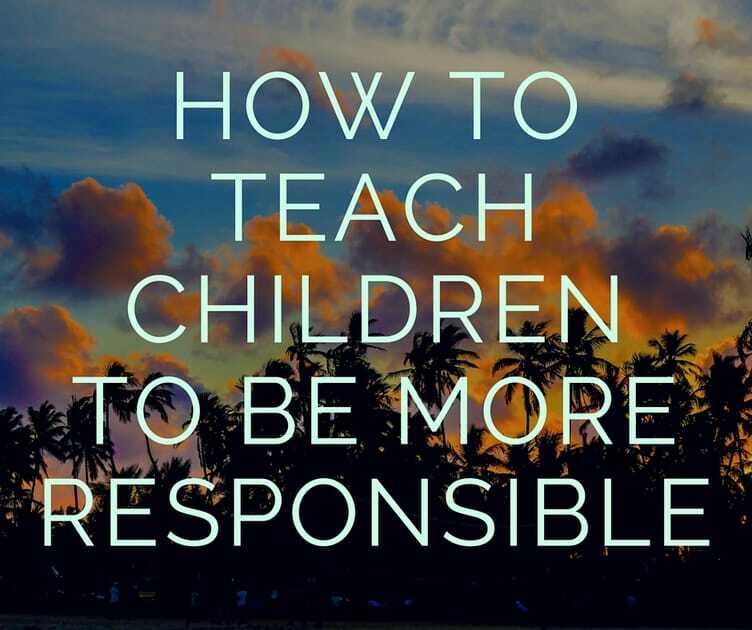 Teaching children to be responsible doesn’t need to be impossible. Though there are many adults in the world who don’t know the meaning of responsibility, this doesn’t have to be the case for your children. Teach them to contribute through age-appropriate chores and they’ll better appreciate what you do for them and what work is. Give them a weekly or monthly allowance when they’d completed their chores and allow them to spend it how they wish. Whether spenders or misers, they’ll learn financial lessons that will carry into adulthood. And give them the independence to learn to entertain themselves, make their own decisions and to live with the consequences of those decisions. Give them the basic foundations of responsibility in childhood and you will have taught them to be the adults the world needs. Have the Guts to Do It Right: Raising Grateful and Responsible Children in an Era of Indulgence From infancy to adulthood, a guide to raising well adjusted and empathic children within a culture that encourages narcissism and indulgence: Based on clinical experience, this book offers guidance and support for parents to develop strong, loving attachments to their children as well as the ability to provide appropriate limits and discipline, all necessary elements of good parenting. From work to play, sleep to homework and toys to technology this book gives concrete as well as theoretical direction for developing the strength to parent your child independent of a culture of excess.